How often have you heard from a fellow believer or even a none believer in Jesus Christ says, “You are not to judge.” Those who are familiar with Matthew 7:1 or know the quote will throw it in your face quoting Jesus, “Dot not Judge or you will be judged.” It is their way of silencing your comment about their behavior or attitude. Very often when this is done you stopped from saying anything further and made to feel guilty for making a judgment. However, did Matthew share just this one brief sentence to be the total of Jesus Christ’s lesson on Judgment or was there more. Did Jesus merely imply that He would judge you as a result of judging others? Based solely on that simple command it would appear that Jesus does not want us to judge, but was that all Jesus Christ had to say on the issue? Satan knows scripture better than most Christians, and even theologians for that matter. Since he is a witness to all that God has done and said and in the very language that God spoke, we have evidence from Genesis Chapter 3 verse 4 he merely added the word “not” and he changed the whole meaning of God’s command from “You shall die, to you shall not die.” Today Satan has the clergy twisting the meaning of a verse or taking a single verse and creating a false doctrine around just a few words. Satan also has people overlook and ignore verses from the Bible to further distort the truth and to lead people astray. The fact is that Jesus Christ had more to say on the subject of judgment. The lesson in Matthew does not end with chapter seven verse one but continues. Let’s examine what Jesus continues to say in this lesson. “Why do you look at the speck of sawdust in your brother’s eye and pay no attention to the plank in your eye? 4 How can you say to your brother, ‘Let me take the speck out of your eye,’ when all the time there is a plank in your own eye? 5 You hypocrite, first take the plank out of your own eye, and then you will see clearly to remove the speck from your brother’s eye.” (Matthew 1:3-5 NIV) The example Jesus is using her if your brother can’t see he has commented a minor sin make you sure you have stopped doing a greater sin before offering judgment for correction. Let’s reexamine verse 2, “For in the same way you judge others, you will be judged, and with the measure you use, it will be measured to you.“ Here is an example of what Jesus is saying, Someone steals a dollar, and you call him a thief, while you just took 10 dollars. Jesus will no Judge you for being a bigger thief, but if you were a thief and stopped stealing and you called out someone for being a thief to stop stealing than the Lord would not Judge you for being a thief because you are not one. Therefore, before calling someone unrighteous, examine yourself as to how the Lord would see you. The Lord’s teaching does not end there. After giving us the lesson to first examine our faults before judging the failures of others in verse six the Lord adds, “Do not give dogs what is sacred; do not throw your pearls to pigs” Now we are told not to give dogs something sacred. Who then are the dogs? “Outside are the dogs, those who practice magic arts, the sexually immoral, the murderers, the idolaters and everyone who loves and practices falsehood.” (Revelation 22:15 NIV) Jesus has ordered us not to give these types of sinners anything scared. Now, who are the pigs? The pig in the first century was regarded as unclean and worse than a dog. Jesus here is teaching that the Word of God is Holy and Good and we can expect to encounter some people who will not see the value of it. These are the people who will mock and ridicule you and God’s Word and despise you for presenting it to them. Therefore the Lord’s command is not to provoke such people to mock the Holy Gospel of God.verse 15-17 Jesus warns us, “Watch out for false prophets. They come to you in sheep’s clothing, but inwardly they are ferocious wolves. 16 By their fruit, you will recognize them. Do people pick grapes from thornbushes or figs from thistles? 17 Likewise, every good tree bears good fruit, but a bad tree bears bad fruit.” Jesus is teaching how to judge correctly. How are we to discern who are the “dogs” and “pigs” and “false prophets”? The answer is by making a judgment call based on the Word of God and the result of living His Word. Good fruit is the living example of God’s Word, while bad fruit is not. In essences, the theme of Christ’s teaching is how to judge right from wrong, good from evil, and to be an example of Good Fruit based on God’s Holy Word. The Bible, the Word of God, teaches what is the truth, righteous and good. Anything that contradicts God’s Word is a lie. To call something a “lie” is to pass judgment for having discerned between God’s Word and a contradiction. 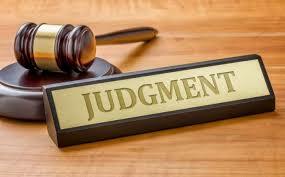 When we base our Judgement on God’s Word, it is God’s Word that judges and therefore we have judged correctly. Our Judgement is not based on our standard. We have removed the plank to see as God would see. It is the Holy Spirit that provides the Judgement. It is the Word of God that provides the bases of good and evil. Warriors are prayers are being answered last night the SOTU showed clearly who the enemy of America and her children are. Continue to pray for every one you see, for people in homes, and business, etc. Tonight at 8 PM let all pray together. “Dear God, We praise you for your love and faithfulness. We thank you for your protection and care over our families. Thank you that you give us the power to love well; the wisdom to lead and teach our children. We know you’re for us; that you fight for our families today. You are Redeemer, Restorer, and Friend, we believe you have good in store. We confess, some days, parenting is tough. Many days we can feel anxious or overwhelmed. We ask that you would make us the citizens of America more like you, more aware of your constant Presence in our lives. Help us to release our children to You, so that You are free to fully accomplish all that You desire, in them, through them. Please fill the families of America with your truth and cover us with your favor. Lord, we pray for these blessings over our children, today, and every day and fill this nation with your Holy Spirit. Amen, Have a blessed day and please share. Since the Reformation, the majority of those reformers who were so enthusiastic to prove the Catholic Church wrong in its teaching by teaching the literal meaning of the words of the Bible and claiming the Catholic Church wrong in its oral tradition have unknowingly begun distorting God’s word. For example, many Christian denominations teach that Jesus is not present in the Eucharist as the Catholics teach and perform the rite at each Mass. There are those who claim that they instruct some form of cannibalism. Or others show it is only a form of remembrance. When the non-Catholic Christian want to argue in the literal word of the Bible they seem to want to ignore “Jesus said to them, ‘Very truly I tell you, unless you eat the flesh of the Son of Man and drink his blood, you have no life in you.’” (John 6:53 NIV) Oh! They have all types of explanation for what Jesus said. In this short blog, I will present what took place at the Last Supper on that Passover Night. To understand, we must go back to the Old Testament to view what non-Catholic ignore. Before we fast forward to the Passover Last Supper with God as Jesus Christ having a meal this time with 12 men, let’s exam another bread, ‘The Bread of Presence.’ It is very significant and the root of the Catholic Churches position of tradition. “And you shall set the bread of the Presence on the table before me regularly.” (Exodus 25:30 NIV ) You may be wondering what is or was this bread. The bread of the Presence also called the showbread or shewbread in some translations and was a special bread always present on a table in the tabernacle. (Leviticus 24:5–7) The Lord provides instructions on how to prepare. The bread is to be a memorial portion as a food offering to the Lord. This bread could only be eaten by Aaron and his sons in a holy place and was set out every Sabbath day (Leviticus 24:8–9). The fact that only Aaron and his sons could only eat of the sacred bread was because it contained the presence of God. It was Holy Bread. Therefore we have a tradition of priests eating a Holy Bread. Now we shall fast forward to a Passover Meal we call the Last Supper. God in the physical form as a man Jesus Christ takes the Bread in Hand. “And he took bread, gave thanks and broke it, and gave it to them, saying, This is my body given for you; do this in remembrance of me.” (Luke 22:19 NIV) There are several things taking place in the one simple action. The first act is the breaking of the bread. The Bread of Presence was not broken and eaten by a priest in memory of what God had done during the first Passover. At this Passover, the Lord’s Supper the Bread is broken to symbolize that God’s Presences, God Himself is to be broken for humanity. The next important factor in the transformation of the Old Covenant with the New Covenant is that 12 men who are not priest are to eat of this Bread. No more will only a Priest eat of the Bread of Presences, but now everyone could eat of it. Therefore for nearly 1395, the only person that could eat Bread with God’s Presences was a Priest. Now all men and women who accepted Jesus Christ could enjoy eating the Bread of Presence, the Bread of Life. Therefore, “Jesus said to them, “Very truly I tell you, unless you eat the flesh of the Son of Man and drink his blood, you have no life in you.” (John 6:53 NIV) Therefore be sure to eat the Eucharist often. The war has stated the method is to first occupy a nation with their people as civilians. Once inside you have a Trojan Horse effect. You destroy the nation from within like Venezuela. Once the people inside grow tired of living on the streets, you get them to march and protest. Until a civil war breaks out. Once this is happening around the world. A Rothschild or their frontman will raise and bring order. Since they own every politician in nearly every nation and have more than 51% of the world’s wealth, they can pay to have it happen. This is easy to accomplish since the average person is too stupid and blind to realize want is happening because they are programmed by the media. You will ignore this and continue to believe what the media tells you. The morals of the nation have already been destroyed. The paid enemies of the nation are the political elite who make it seem righteous to permit anyone to enter a nation without knowing anything about them and making it criminal to reject the invader. These illegal immigrates are also criminals and soldiers entering a nation with the purpose of overthrowing the nation. Similar methods were used in several nation in recent history. If you smart you with pray the Our Father and focus on the line deliver us from evil. You need to add and the evil one to the pray. Humans often think that God is like a man since, it is written Genesis 1:27 (NIV) “So God created mankind in his image, in the image of God he created them; male and female he created them.” (Genesis 1:27 NIV) Theologians often want to apply the characteristics of God to men and women to illustrate the likeness. However, the very simplest comparison it the one overlooked. As a result, humans have a distorted view of God as a result of Satan’s deception. Many disbelieve in the concept of a Trinity, three Gods in one altogether. People have developed this notion of an old white-haired breaded man as God, which is more of a picture of Zeus than of the Great “I Am.” Therefore when many non-Christian Faiths hear of the word Trinity they hear Three Gods, not one. Many theologians have gone about explaining this mystery but ignore two straightforward illustrations to provide a clue for understanding the Trinity. Let us begin our examination into the idea of a Trinity from the standpoint of God’s created image man. Humans have three bodies in one mental, emotional and physical bodies. We shall begin our investigation first with the Mental Body or consciousness. What scientist can determine the height, and depth of consciousness? Next is the emotional body with all of its various expressions of feelings, love, joy, happiness, and sorrow to name a few. Finally, the first two are encased in a physical body. We often hear stories of individuals have out of body experiences when the conscious and emotional bodies leave the physical! We can only guess if the two depart from the frame on a journey during sleep, in what we call a dream. Therefore humans are trinity beings. n today’s society, we have arrived of a new form of self-glorification the taking of a selfie, the taking of a photo, of yourself, by yourself for your joy and satisfaction. In doing this, you are creating an image of yourself, but this image is not yourself. This image in many cases is two dimensional and not able to move. In a video recording, the image is still two dimensional and cannot escape from the disk. The picture is not you nor is it a total representation of who you are and what you can do. It is only a likeness of you. Having examined the human trinity lets apply it to God. First, since God is the creator he can do anything, He wishes. His consciousness has no boundaries and can hear the thoughts of every living creature. Next God not only has emotion he is the emotions; he of love, joy, happiness, and sorrow and every other feeling. Finally, he can occupy a body. Some people think that God cannot employ a body because he is to vest to do so. However, my mind is more significant in dimension than my body. Since man can under a specific condition have an out of boy experience can God do it at will? Here is an example of how simple God can be in three places as three different people at one time. Poly location to manifest himself in three different forms as three distinct beings. It is the one thing we created in His likeness cannot do. As the image in the photo cannot come out of the picture nor can we separate our trinity body into three distinct beings. Before we close on this simple explanation of the Trinity, God has provided one more example of a Trinity, water. H2O is invisible to the eye, and it surrounds us daily as a gas, a mist, that becomes visible as a cloud. While H2O is in its gases form, it can also be a liquid below the fog of the sky in the oceans, lakes, and rivers. It can flow and move like the moisture in the wind, and it can also seem as icebergs floating in the oceans; three different states of H2O. So you see we are a trinity created in God image and likeness but with limited ability unable to poly locate in three distinct forms at the very same time.